Born and raised in Cleveland’s Ward 16, the neighborhood he previously represented as a member of the City Council since January 13, 1997, State Representative Martin J. Sweeney is a native son who knows Cleveland, understands Cleveland and loves Cleveland. From his first days at City Hall, Sweeney began earning a reputation as a hard-working representative dedicated to the welfare of his Ward. During his time on Council, more than $350 million in economic development was invested in Ward 16, creating more than 1,500 jobs. On his watch, the stability of Ward 16’s residential and business districts was maintained and enhanced, even in the face of daunting economic challenges. He is a hands-on, roll-up-his-sleeves public servant who favors direct contact with constituents. In December 2005, Sweeney’s horizon expanded to include all of Cleveland when his colleagues unanimously elected him President of Cleveland City Council, a position which he held through 2013. Mr. Sweeney worked tirelessly with the Cleveland Mayor Frank Jackson to make improvements for safer streets, more police visibility, a stable housing stock, job creation and responsive city government. Sweeney also has been deeply involved in the redevelopment of downtown, including the Medical Mart and Convention Center, a downtown urban casino, new construction in the historic Flats, and an expansion of Cleveland State University including dormitories, student center, and a K-12 school on campus. 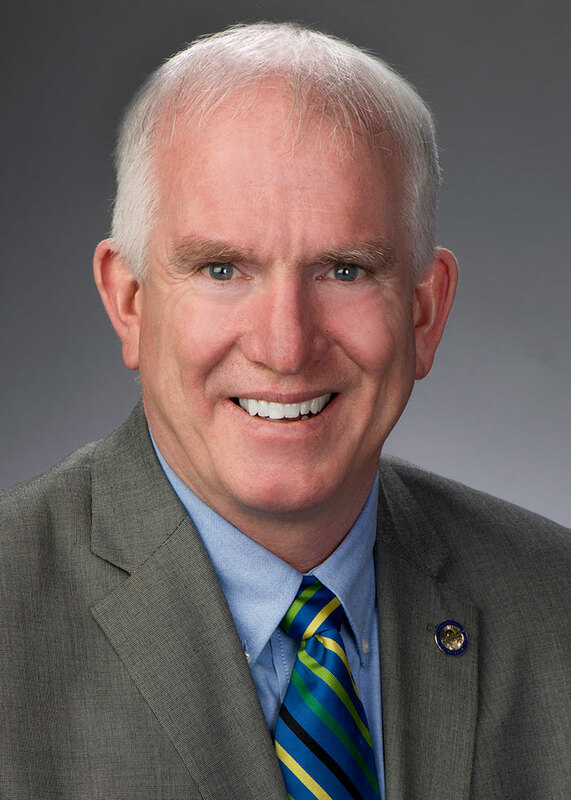 A proud graduate of St. Ignatius High School, Representative Martin J. Sweeney earned a bachelor’s degree in political science from Cleveland State University. He was a member of the legendary 1986 CSU basketball team that improbably advanced to the Sweet 16 Round of the NCAA Tournament, in the process capturing the heart of a city. Rep. Sweeney graduated from the prestigious Leadership Cleveland Class of 2004, which brings together local community leaders from all walks of life. He is also a graduate of the Harvard Program for Leadership Development and a recipient of the Cleveland State University’s 2013 Distinguished Alumni Award for Community Service. Representative Martin J. Sweeney, widowed in 2015, lives with his four daughters and resides across from Jefferson Park.